Learn how to Edit, Create and Apply a Skin to your site. You’ll also learn how to apply different Skins to individual pages. Watch this video tutorial on how to Create and Edit Skins here. 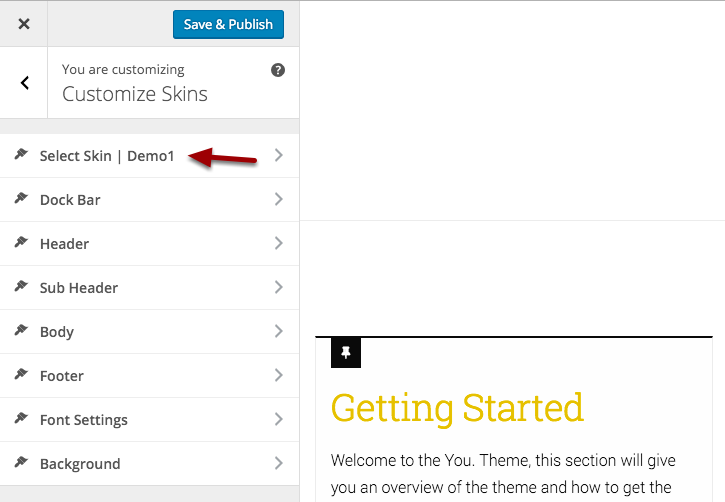 To Customize a Skin, you’ll need to access the Customizer via WP Admin > Appearance > Customize > Customize Skins. You can identify the Skin settings by the small “Paintbrush” icon next to each section. 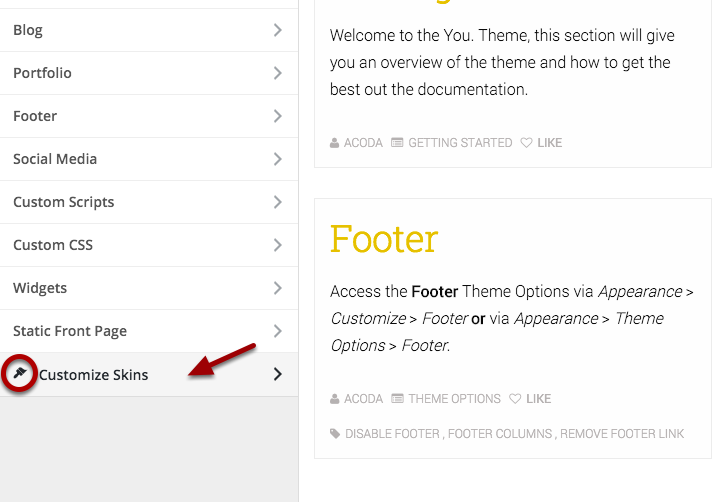 To Edit, Create or apply a Skin to your site, click the Select Skin section. 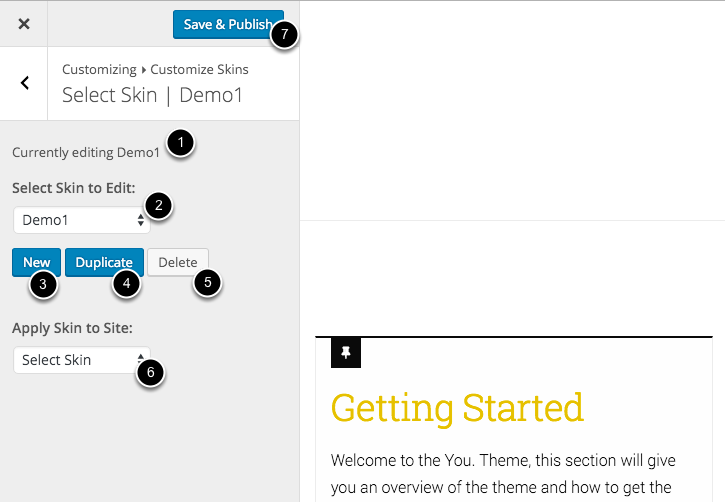 You’ll also notice in the above diagram that the Customizer will tell you what Skin you’re currently editing. This isn’t the necessarily the Skin that’s applied to your site. Once you’ve clicked on Select Skin you’ll see the options in the above diagram. Choose the Skin you wish to apply to that page only. Once you’ve selected the Skin, save the Post or Page and the Skin you’ve selected will now be applied to that page.